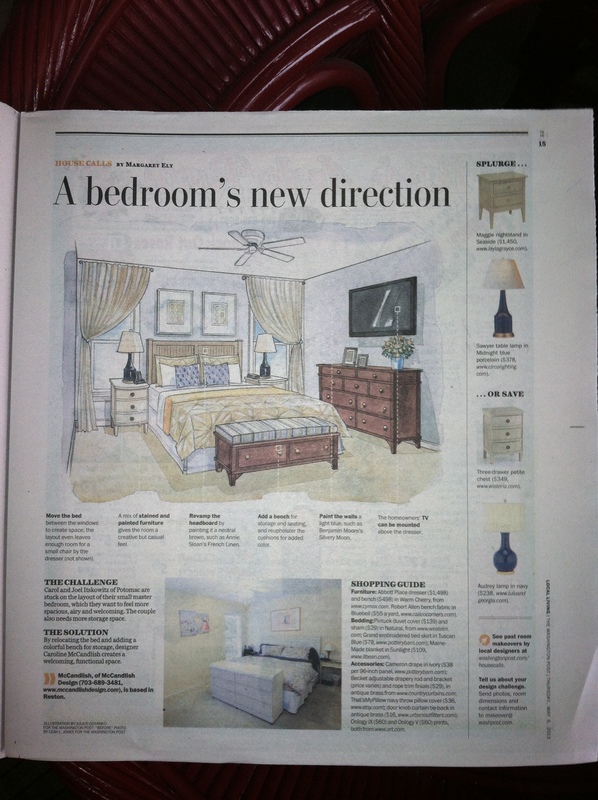 I was asked to help redesign a homeowner’s master bedroom for The Washington Post, and I had a great time! I wanted to provide a classic backdrop for the couple but also interject a little bit of color and contemporary pattern. But Julius Goyanko’s rendering for The Post turned out much, much better! 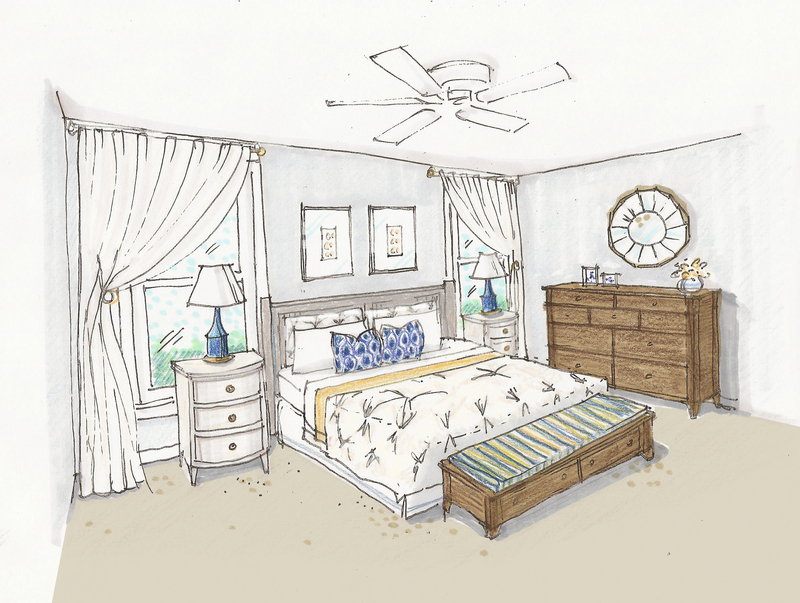 I actually did not include a TV in my design, though it was included in The Post’s published rendering. 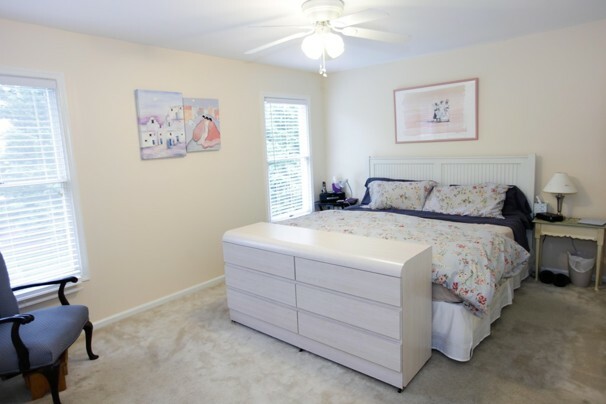 The paper wanted to include a TV because the home owners wanted to keep one in the room. I felt that a round wall-hung mirror would better enhance the romantic sophistication of the space. Refer to The Post’s online article for the product details. Here it is in print!